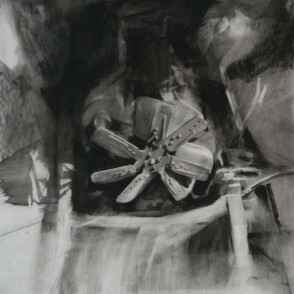 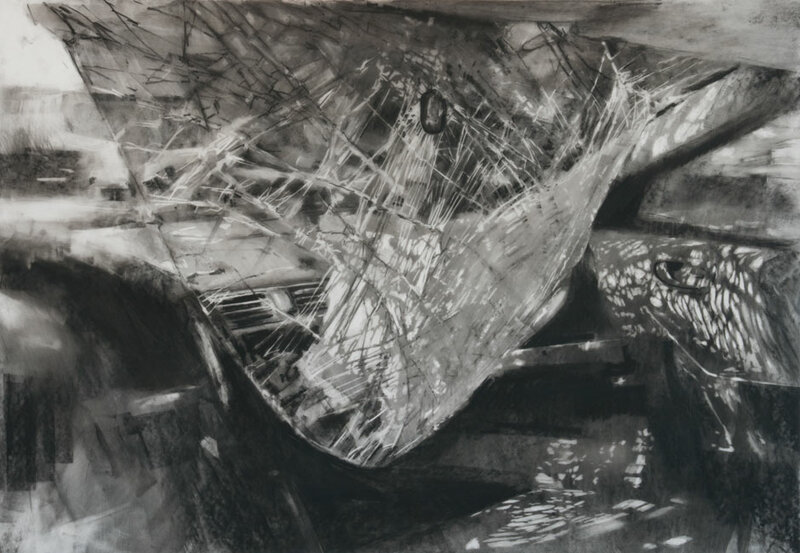 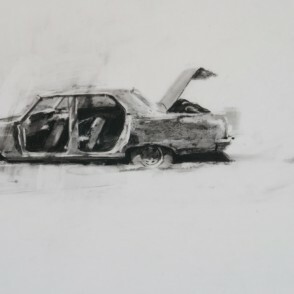 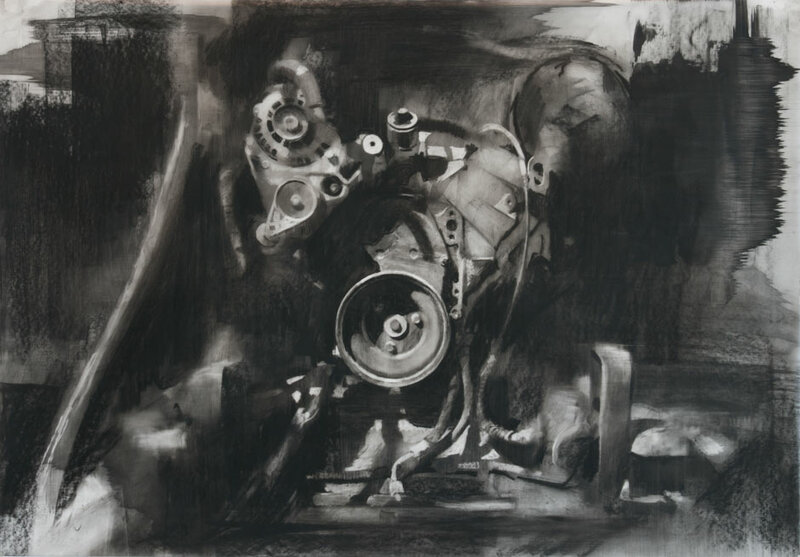 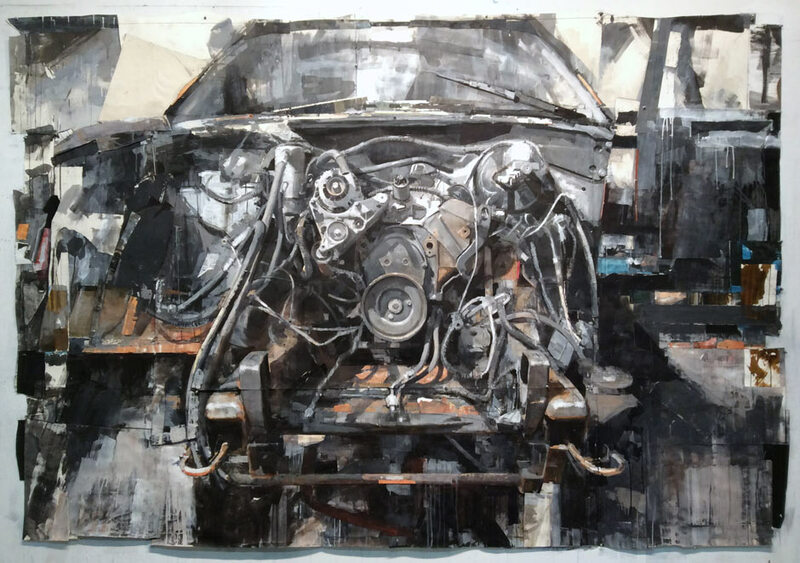 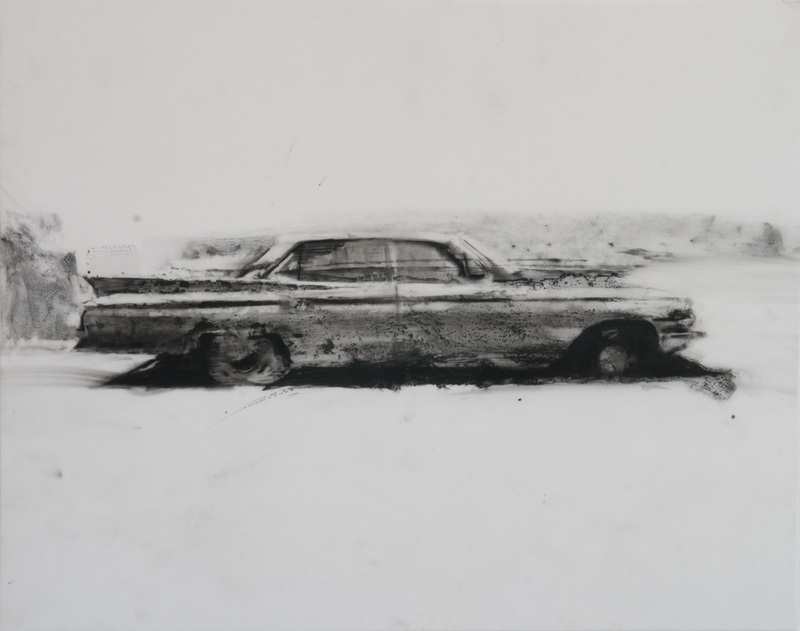 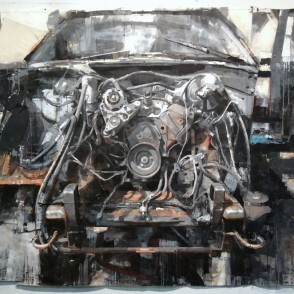 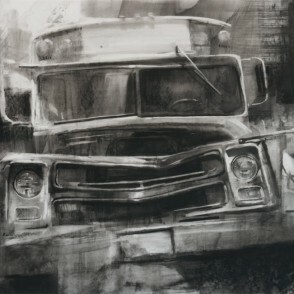 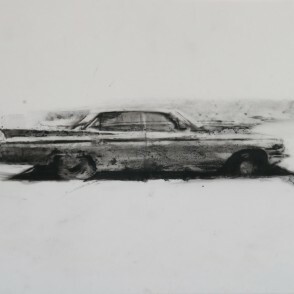 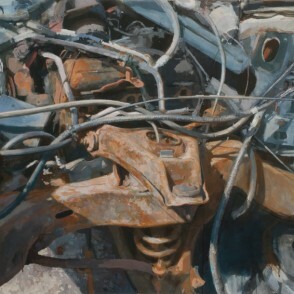 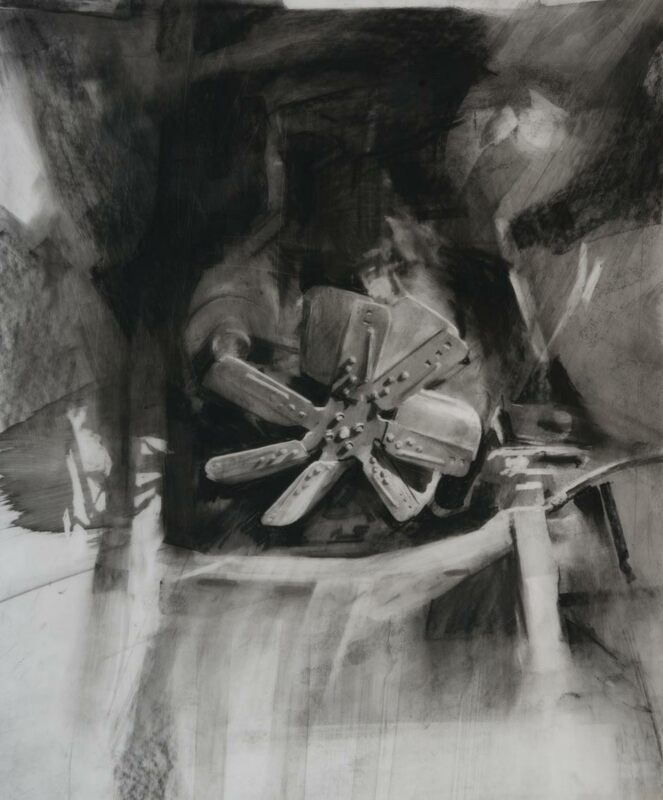 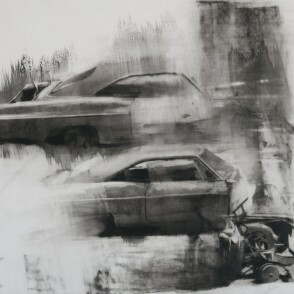 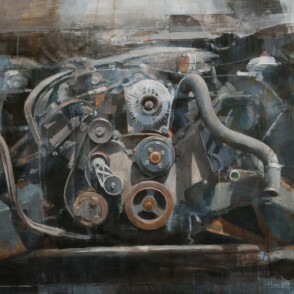 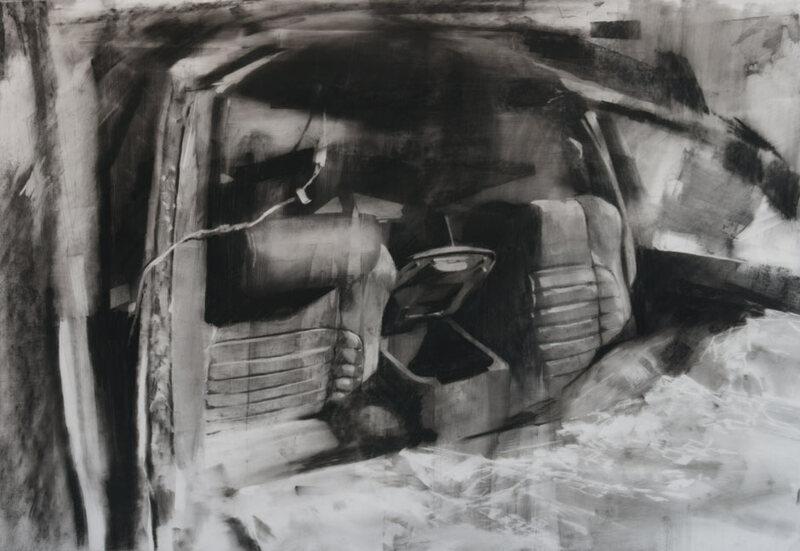 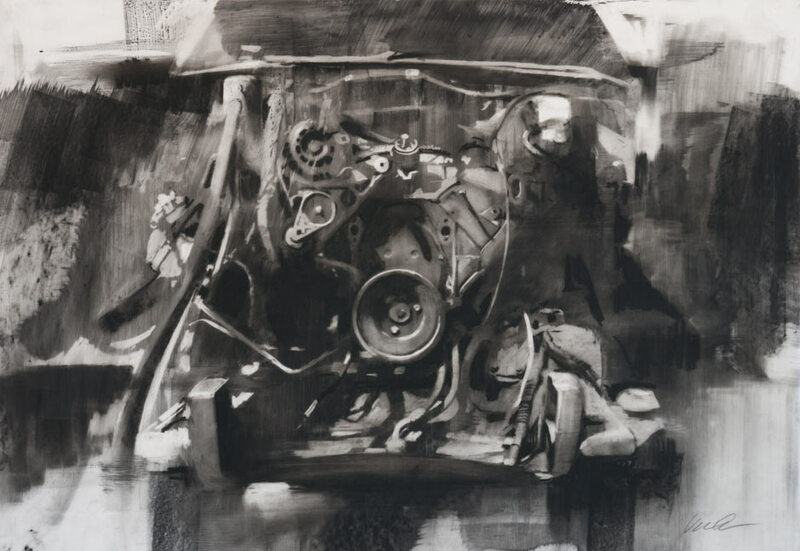 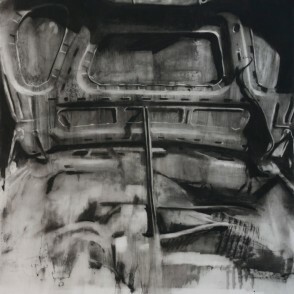 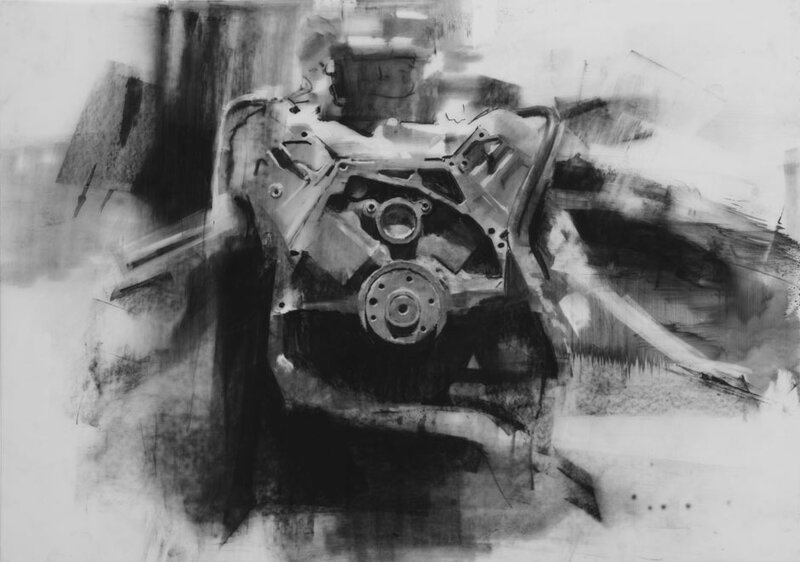 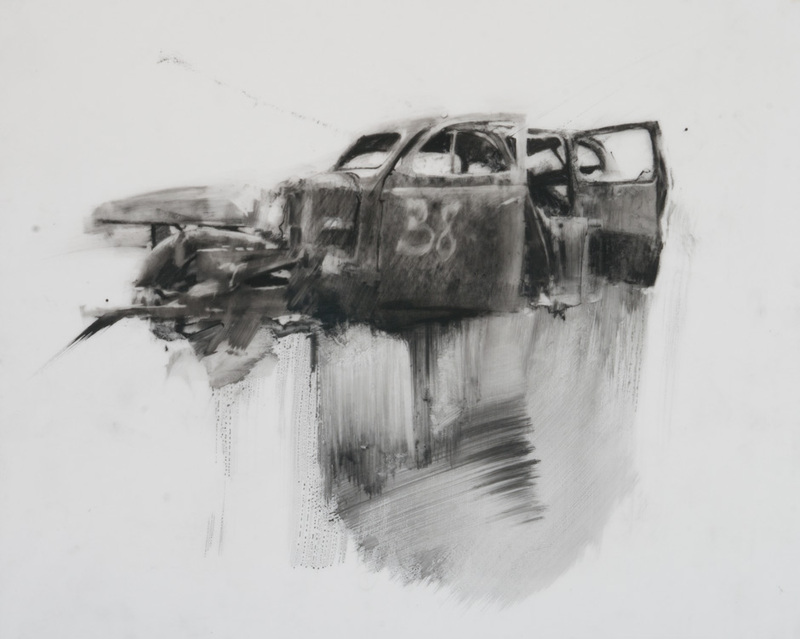 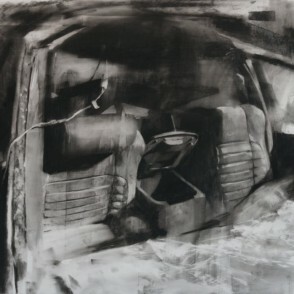 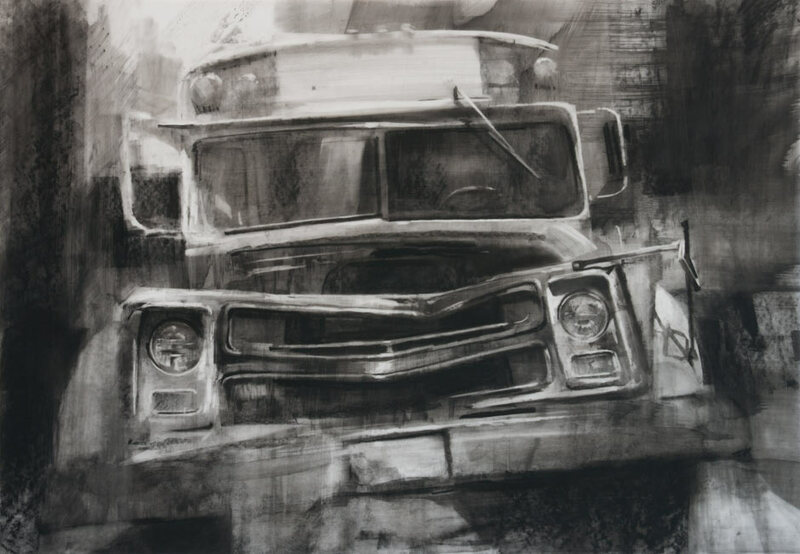 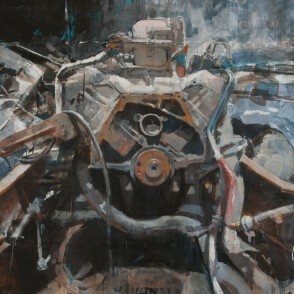 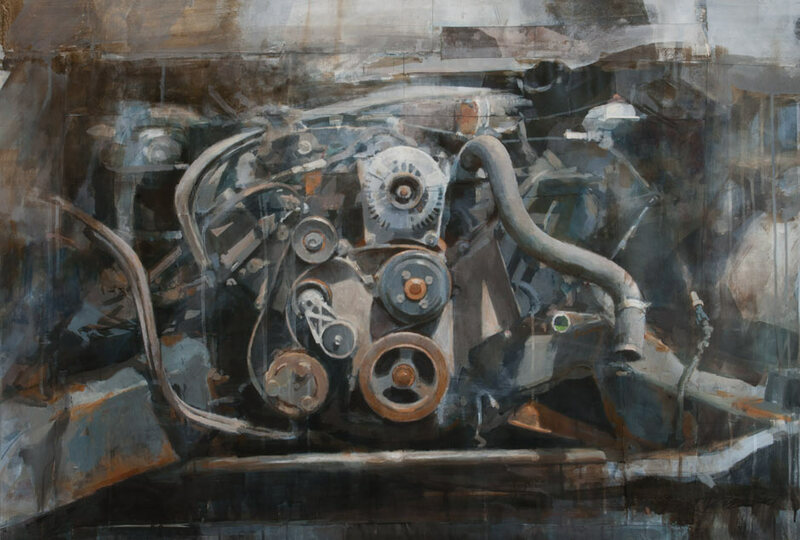 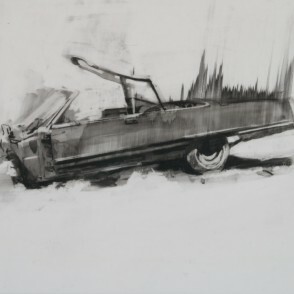 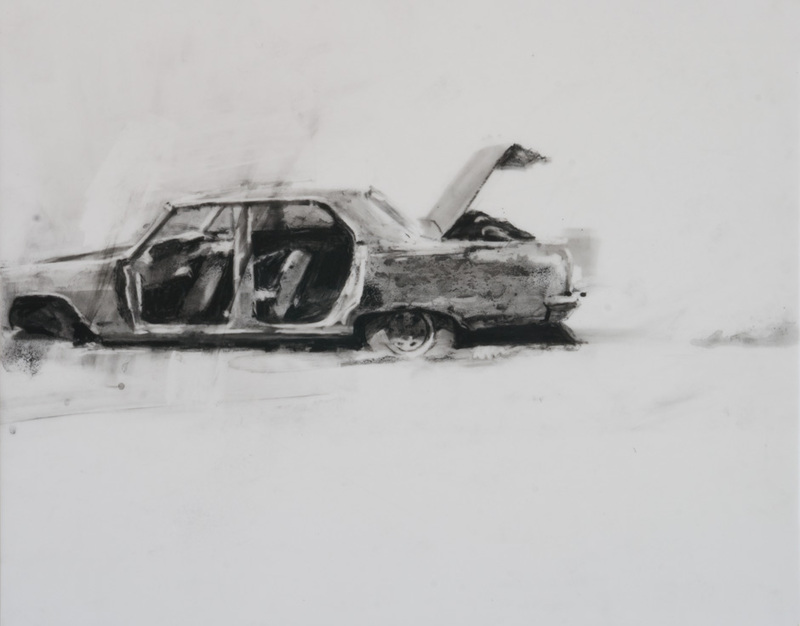 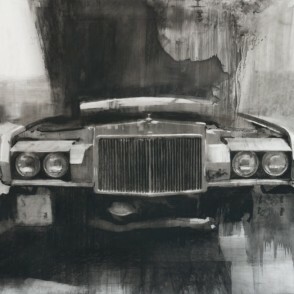 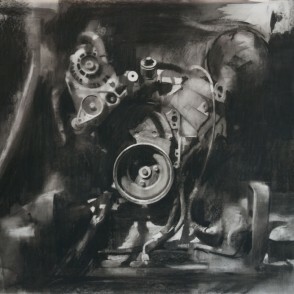 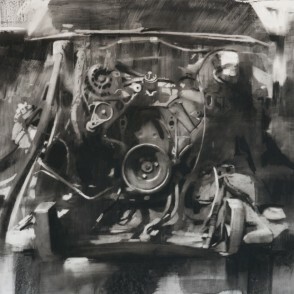 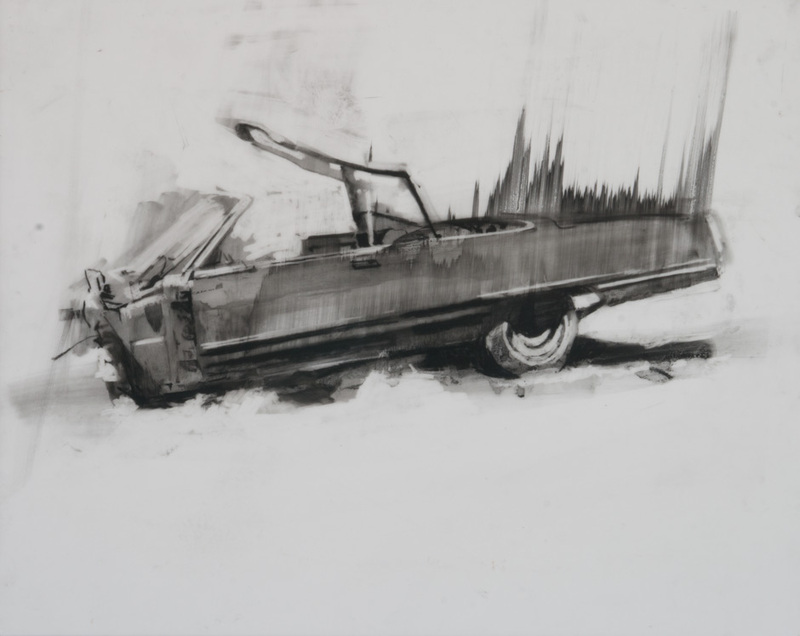 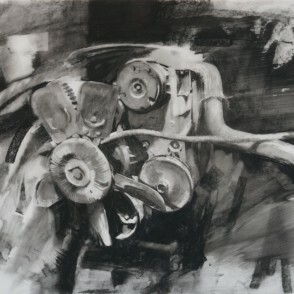 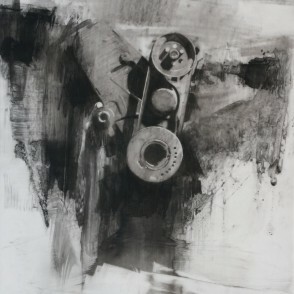 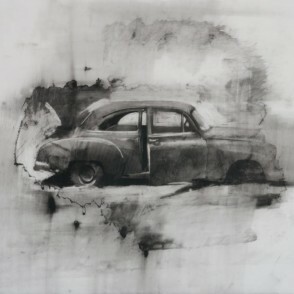 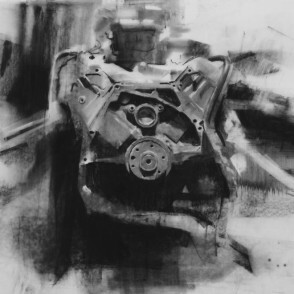 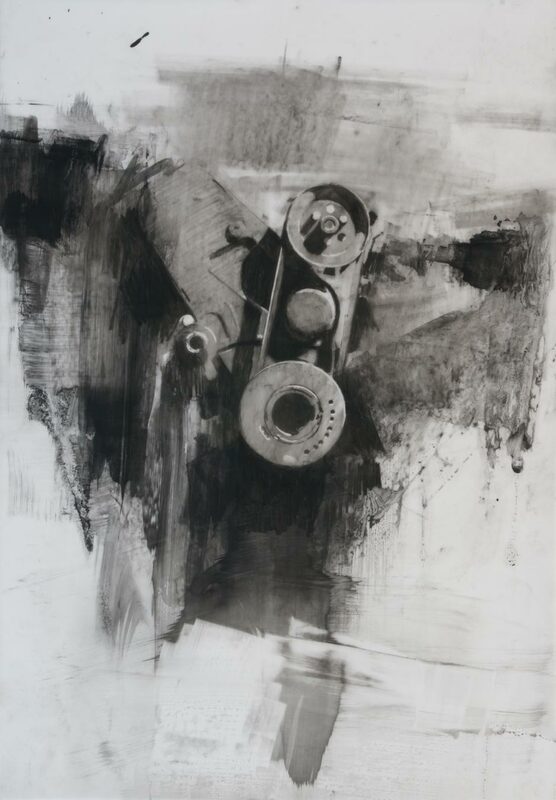 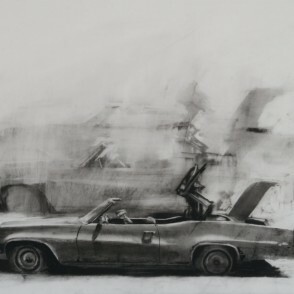 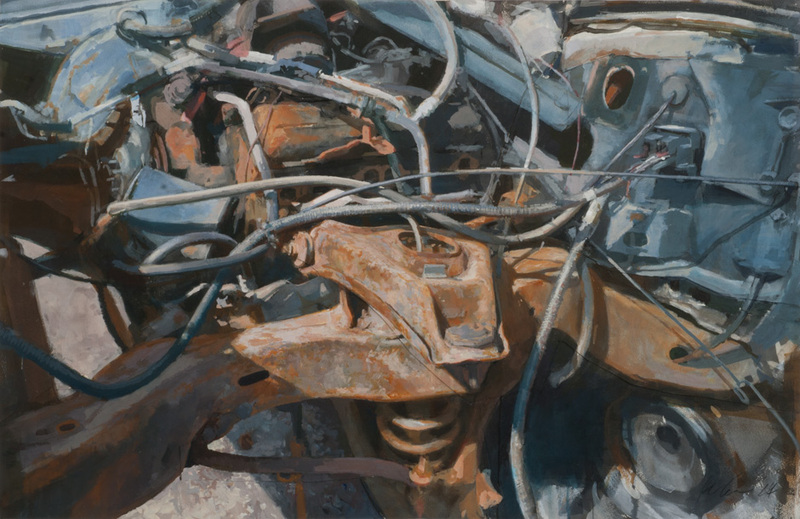 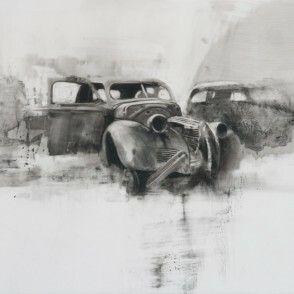 image: 10 x 12" | frame: 15 x 17.5"
Michael Kareken "Auto Salvage Drawing Series: Front End"
image: 12.5 x 18" | frame: 19 x 24"
Michael Kareken "Auto Salvage Drawing Series: Suspension"
Michael Kareken "Auto Salvage Series: Suspension"
image: 26.5 x 41" | frame: 33.5 x 47.5"
Michael Kareken "Engine and Suspension"
image: 48 x 60" | unframed"
Michael Kareken "Auto Salvage Series: Engine #4"
image: 39.5 x 50.5" | frame: 47 x 57"
Michael Kareken "Auto Salvage Drawing Series: Belt"
image: 18 x 12.5" | frame: 24 x 19"
Michael Kareken "Auto Salvage Series: Engine #2"
image: 29.5 x 41" | frame: 36 x 48"
Michael Kareken "Auto Salvage Series: Engine #1"
image: 40 x 51" | frame: 47 x 57.5"
Michael Kareken "Auto Salvage Series: Engine #3"
image: 32.5 x 48" | frame: 39 x 54.5"
Michael Kareken "Auto Salvage Drawing Series: Grill"
Michael Kareken "Auto Salvage Drawing Series: School Bus"
Michael Kareken "Auto Salvage Drawing Series: Pulleys"
Michael Kareken "Auto Salvage Drawing Series: Engine #4"
Michael Kareken "Auto Salvage Drawing Series: Hood"
Michael Kareken "Auto Salvage Drawing Series: Seats"
image: 25.25 x 38.5" | frame: 32 x 45"
Michael Kareken "French Lake Pick-up"
Michael Kareken "Auto Salvage Drawing Series: Untitled"
Michael Kareken "Auto Salvage Drawing Series: Shadows"
Michael Kareken "Auto Salvage Drawing Series: Overgrown"
Michael Kareken "Auto Salvage Drawing Series: Bus in the Woods"
Michael Kareken "Auto Salvage Drawing Series: Engine"
image: 12 x 10" | frame: 17.5 x 15"
Michael Kareken "Auto Salvage Drawing Series: Emerging"
image: 20 x 25" | frame: 27 x 32"
Michael Kareken "Auto Salvage Drawing Series: Collapsed Windshield"
PARTS, a joint exhibition of new work by Michael Kareken, opens Thursday, October 16. 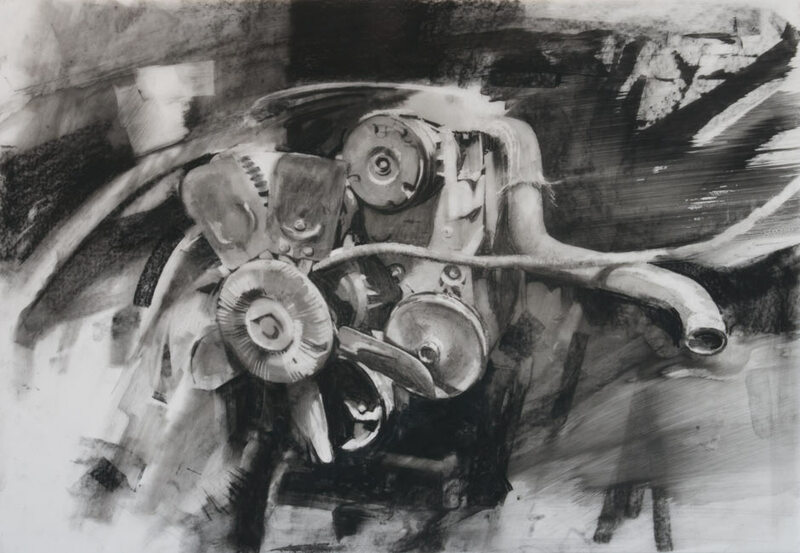 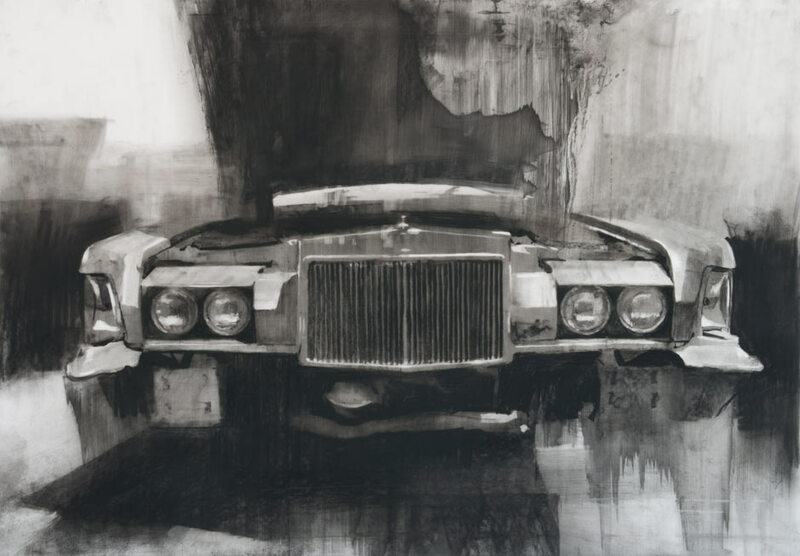 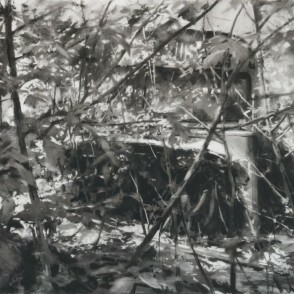 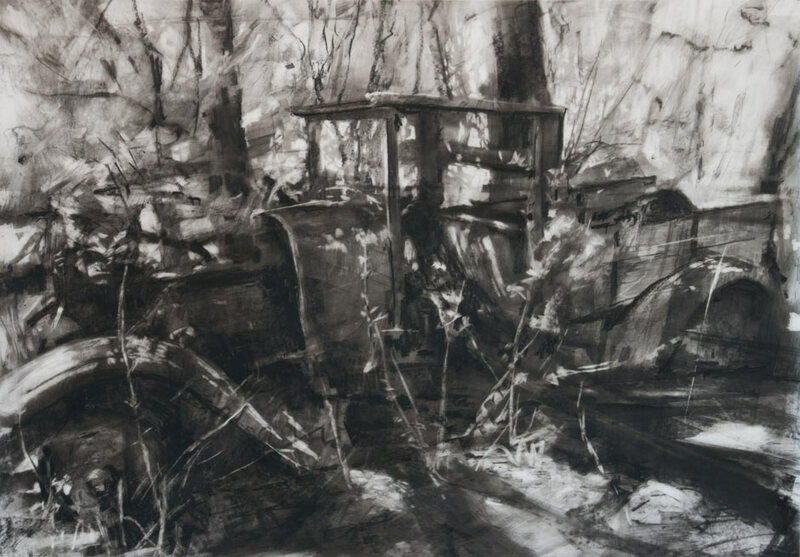 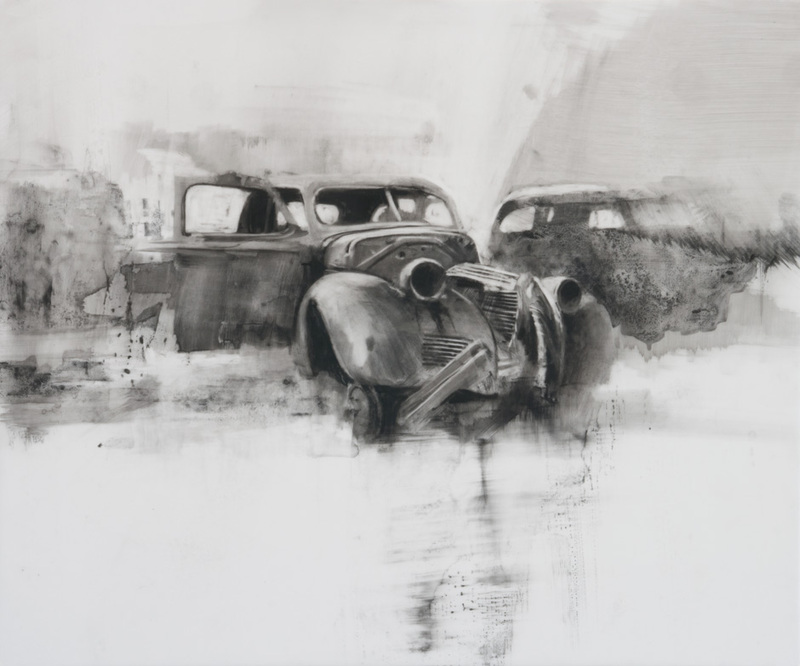 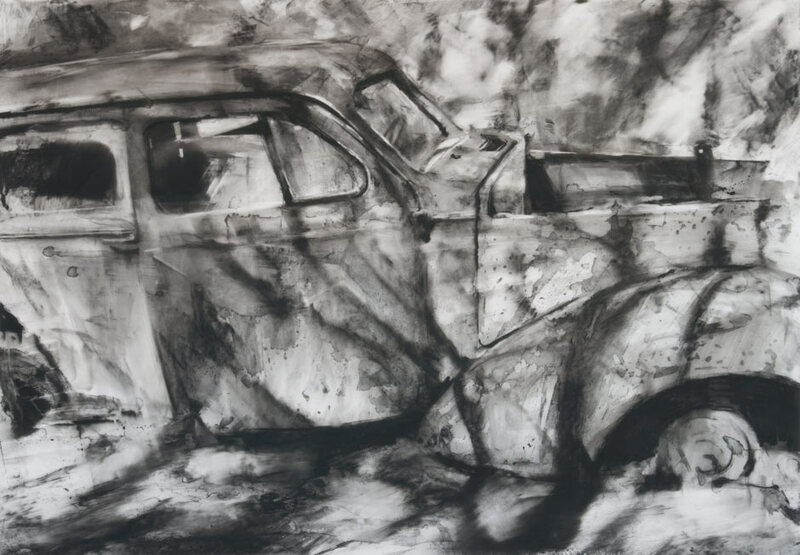 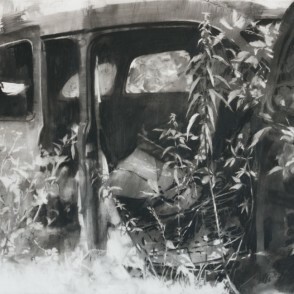 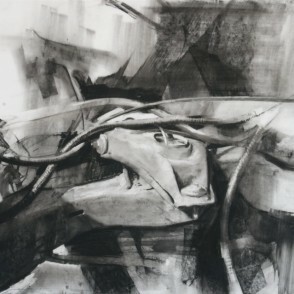 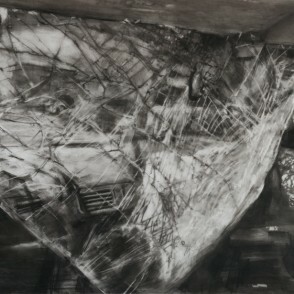 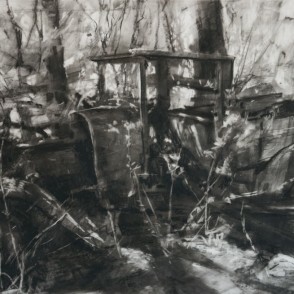 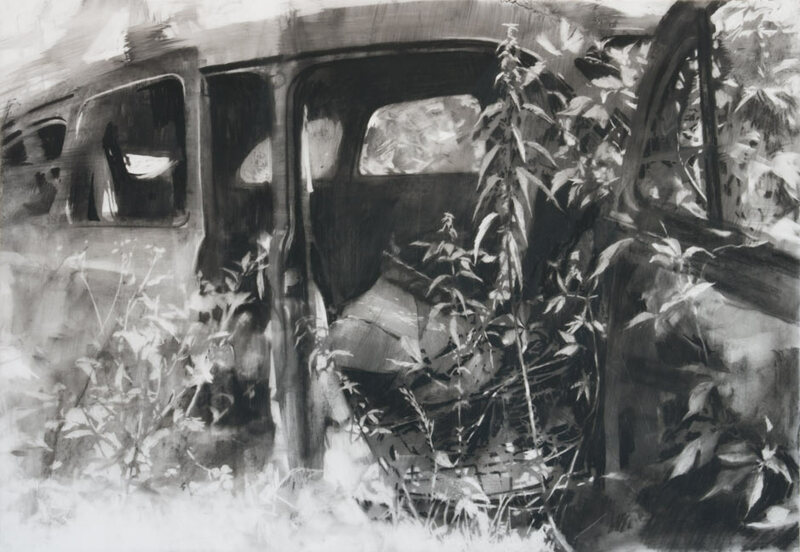 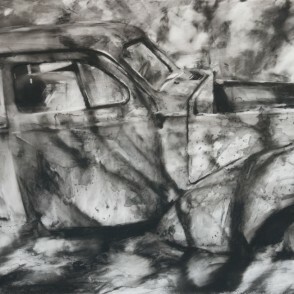 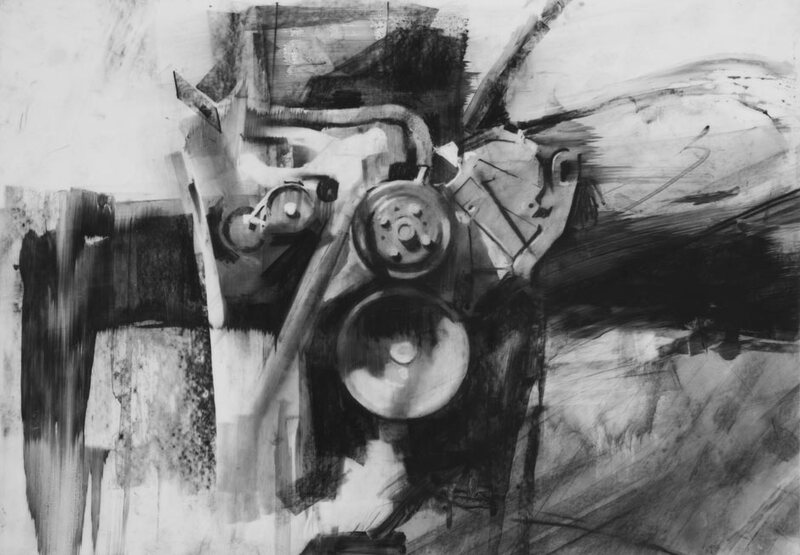 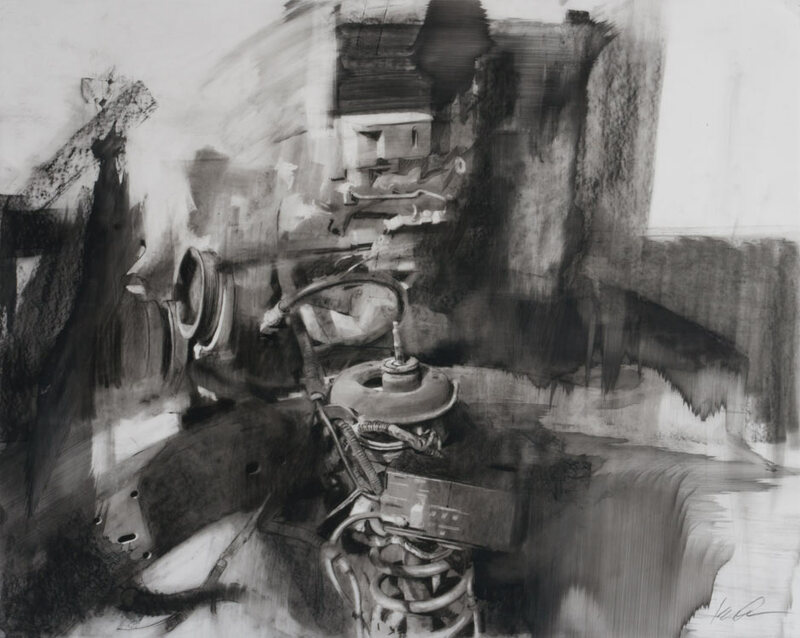 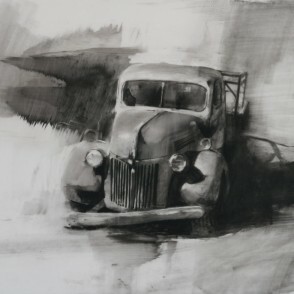 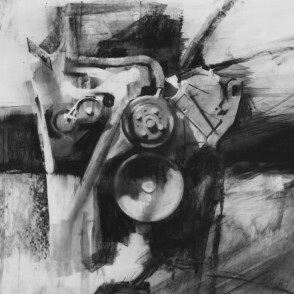 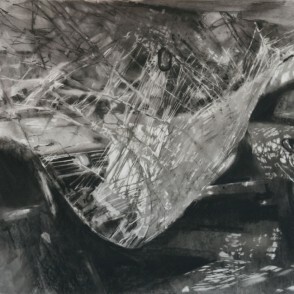 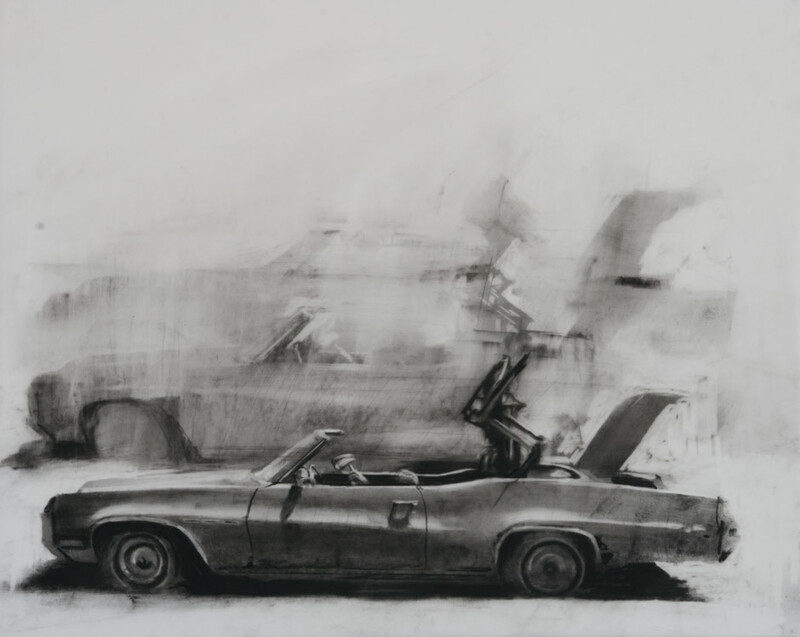 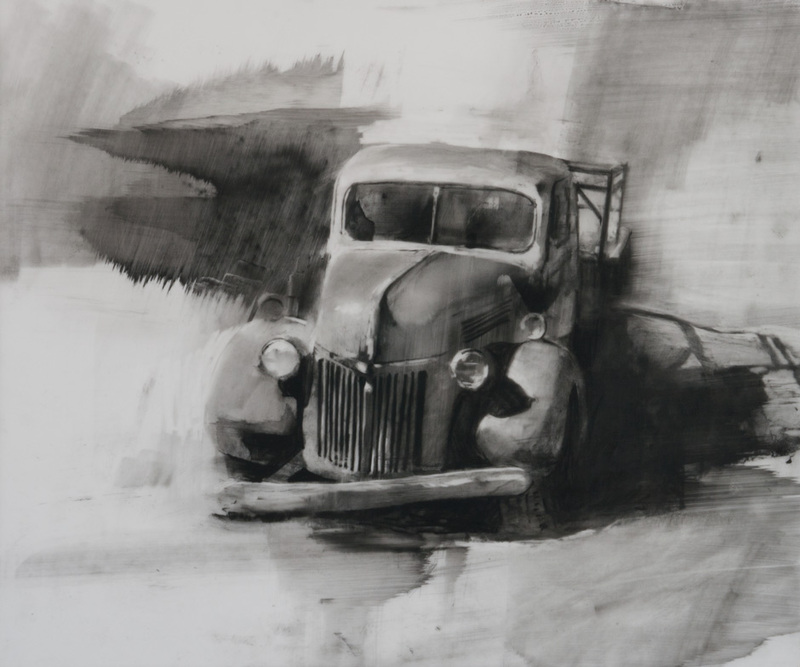 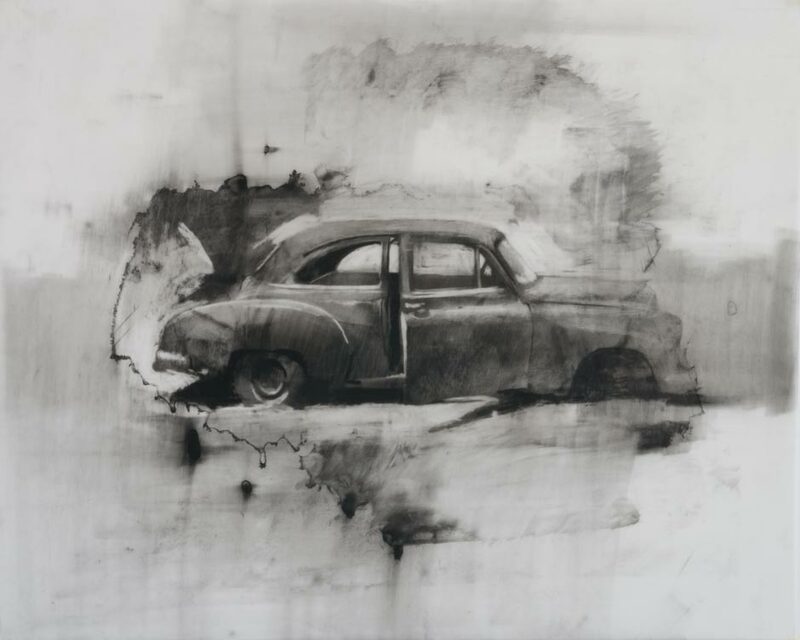 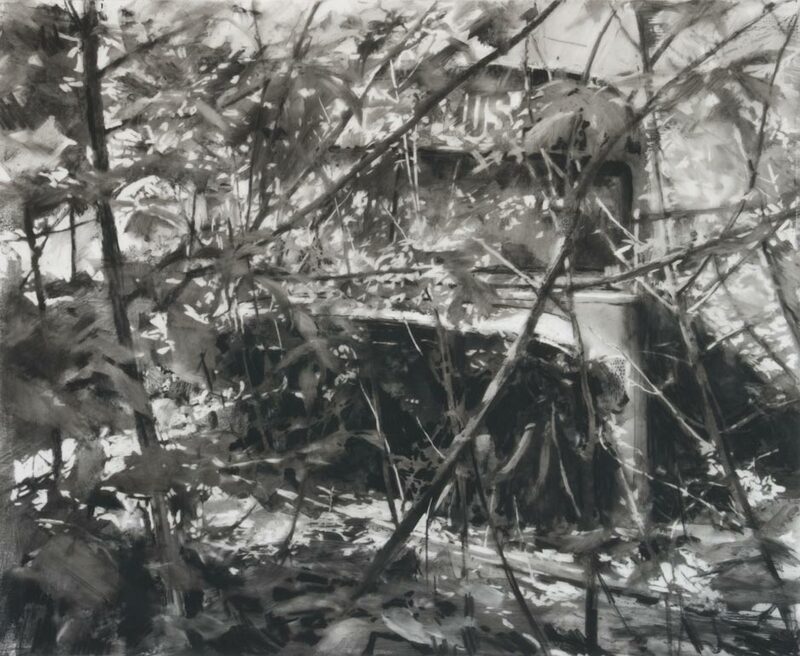 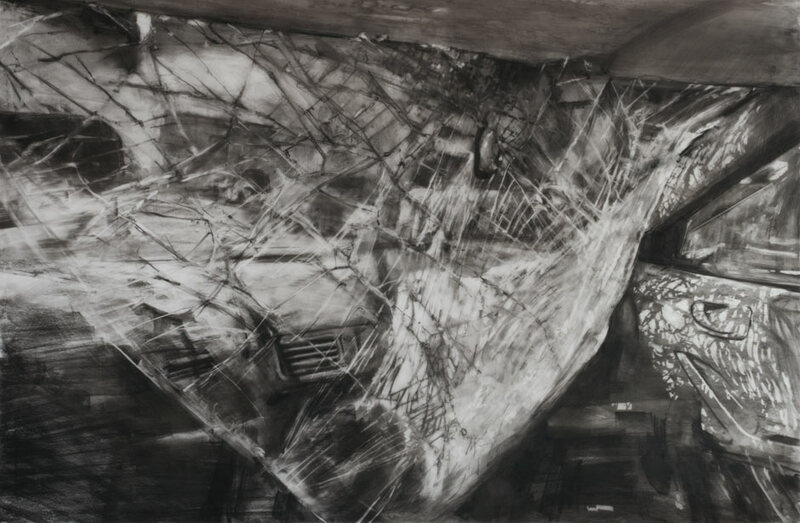 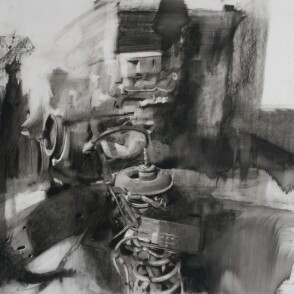 This unique exhibition will feature Kareken’s charcoal and conté drawings at the Groveland Annex. 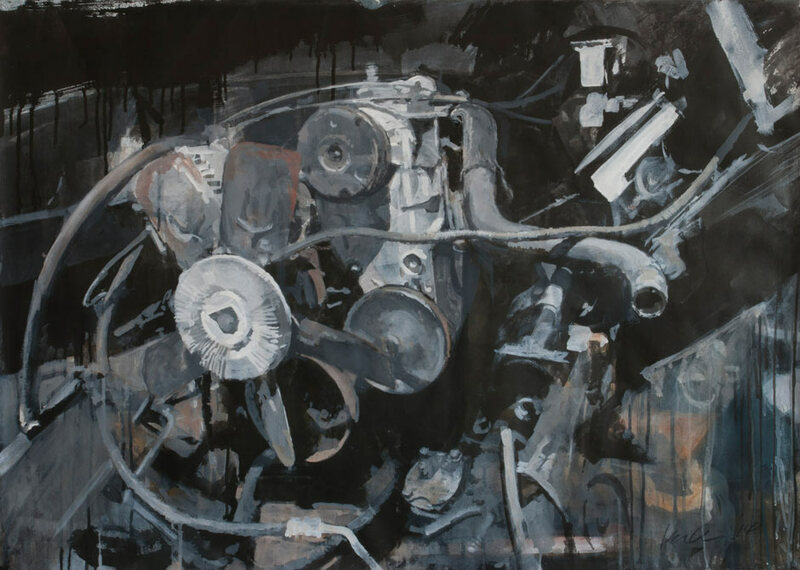 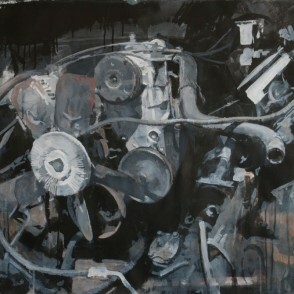 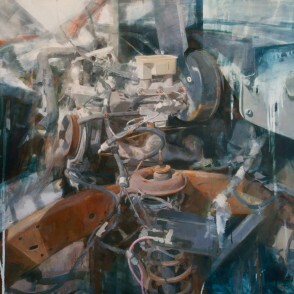 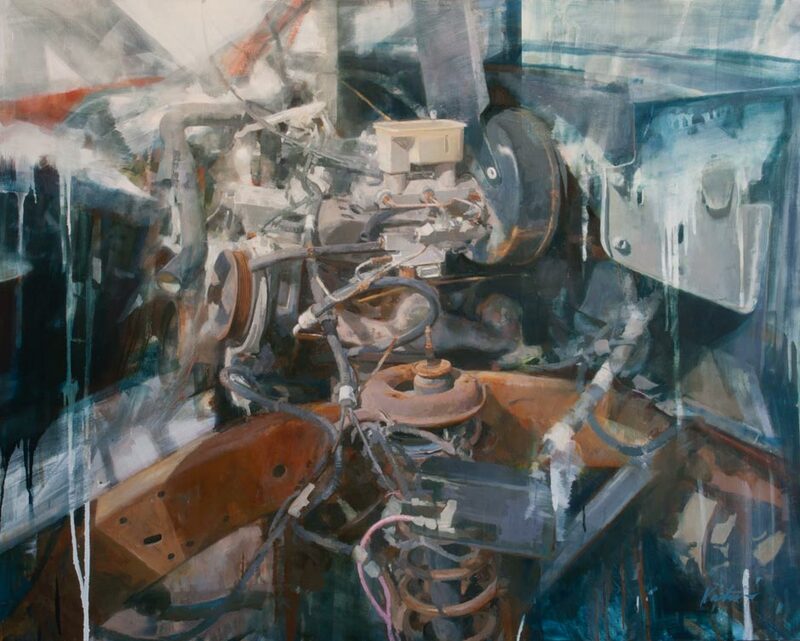 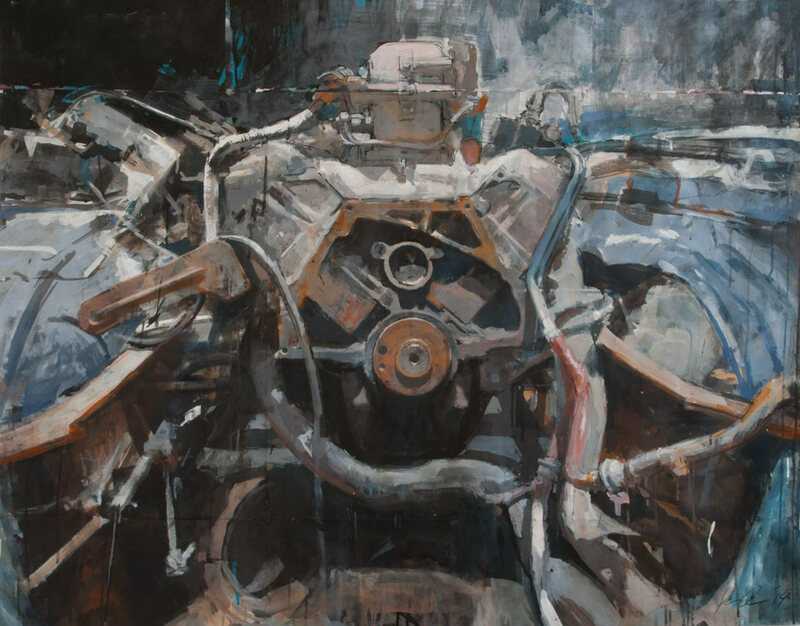 A simultaneous companion exhibition of his large, mixed-media paintings will be displayed at Burnet Gallery at Le Méridien Chambers in downtown Minneapolis. 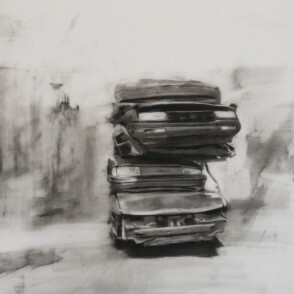 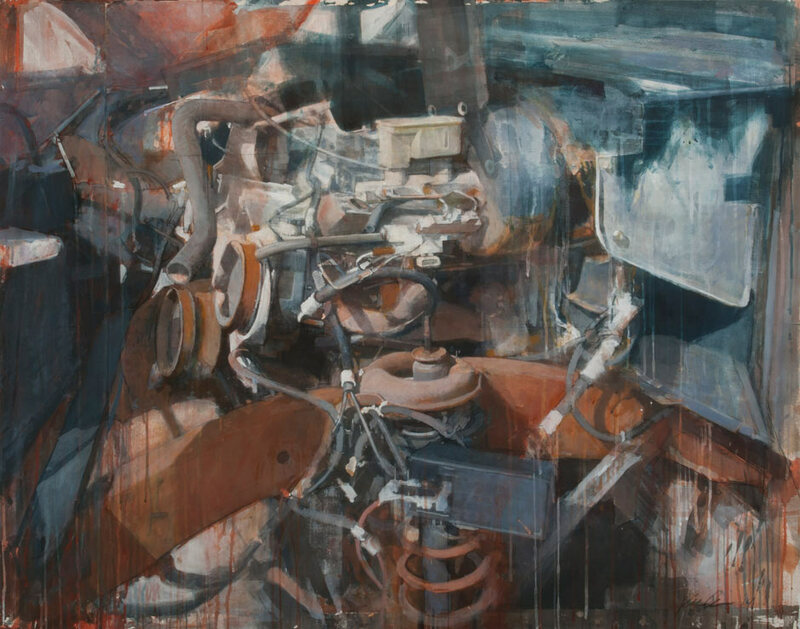 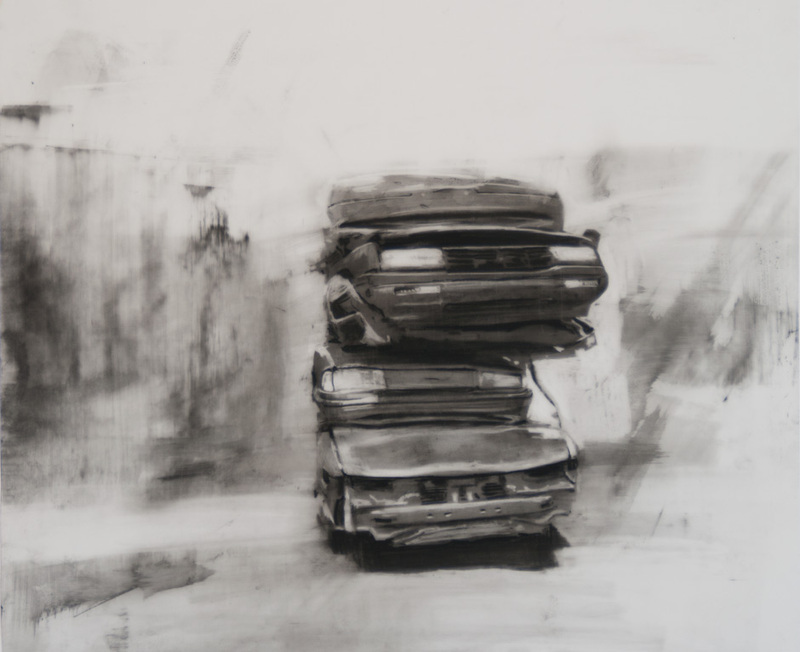 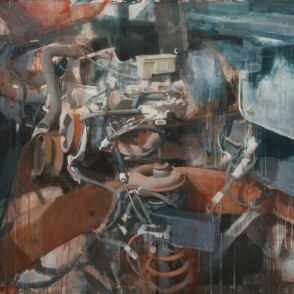 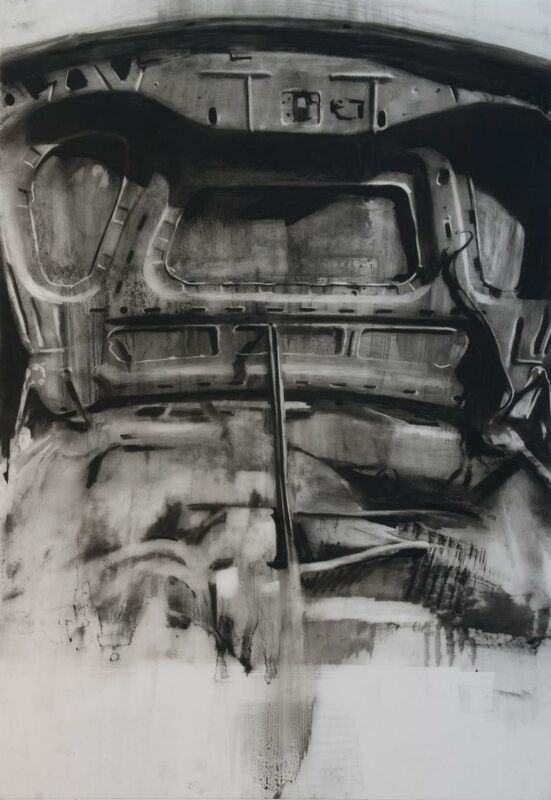 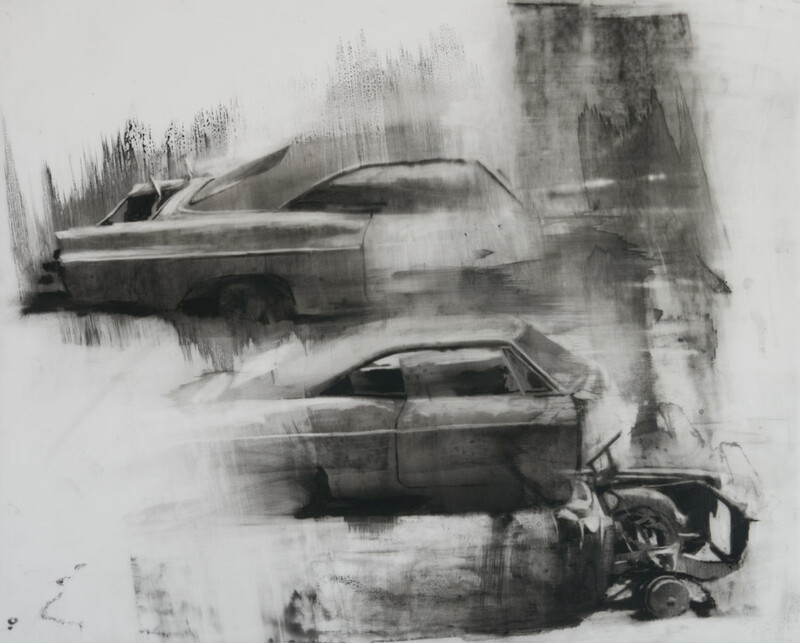 “For me, these forms are strongly suggestive of the human body, and there is a disturbing sense of violation in the casual way that the vehicles have been dismantled. 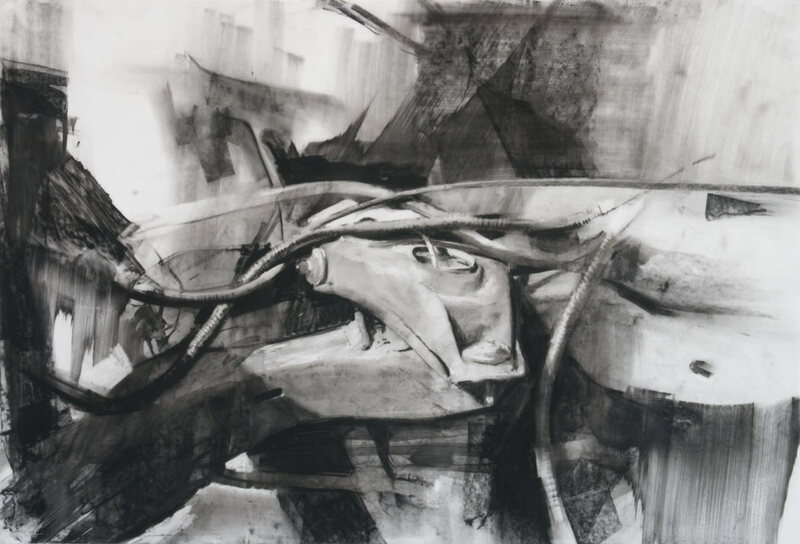 I have tried to highlight this figurative reference and to experiment with formal and technical approaches that allow the work to embody the sense of vulnerability, fragility and disfigurement that I perceive in the subject.